The project is inspired by the celestial map. 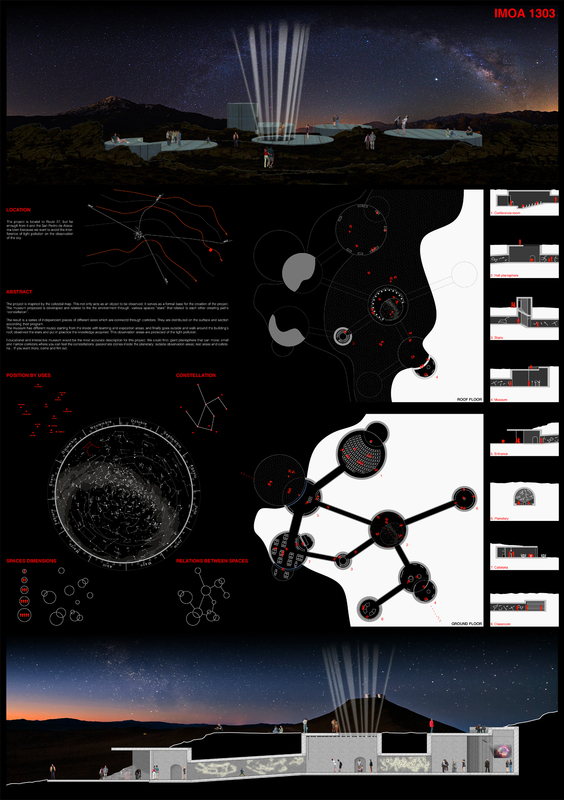 The museum proposed is developed and related to the environment through various spaces “stars” that relate to each other creating paths “constellation”. Educational and interactive museum would be the most accurate description for this project. We could find: giant planisphere that can move; small and narrow corridors where you can feel the constellations; passionate histories inside the planetary; outside observation areas; rest areas and cafeteria… if you want more, come and find out.